Another in a soon to be oh so very long line of underwhelming screenshots. 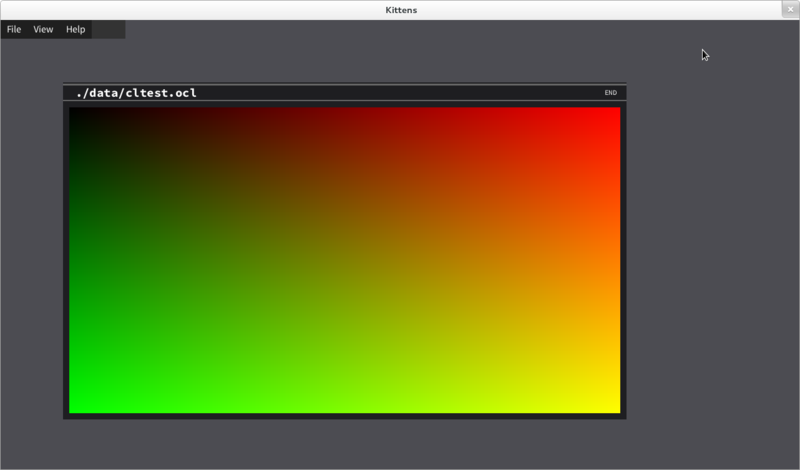 This one demonstrates OpenCL borrowing a texture from OpenGL, filling it with gradients, and returning it. Just like the last underwhelming screenshot and if anything moreso, this is a portent of things to come. Yep I agree with Mr Lymn.